The first 4 EUSA_ID students arrived safely in Bochum! They all will take part in the Master in Development Management at the Institute of Development Research and Development Policy of Ruhr University Bochum. Welcome! 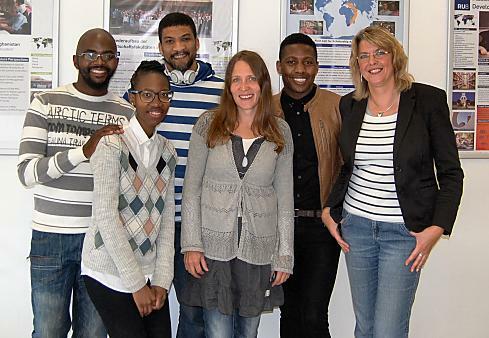 EUSA_ID students Anele Maqubela, Keneilwe Manganya, Bruce Julies and Banele Njoko together with the EUSA_ID coordinators Britta Niklas and Gabriele Bäcker. Read more about Banele Njoko's first impressions in Germany on the website of his home university, the University of Kwa Zulu Natal. 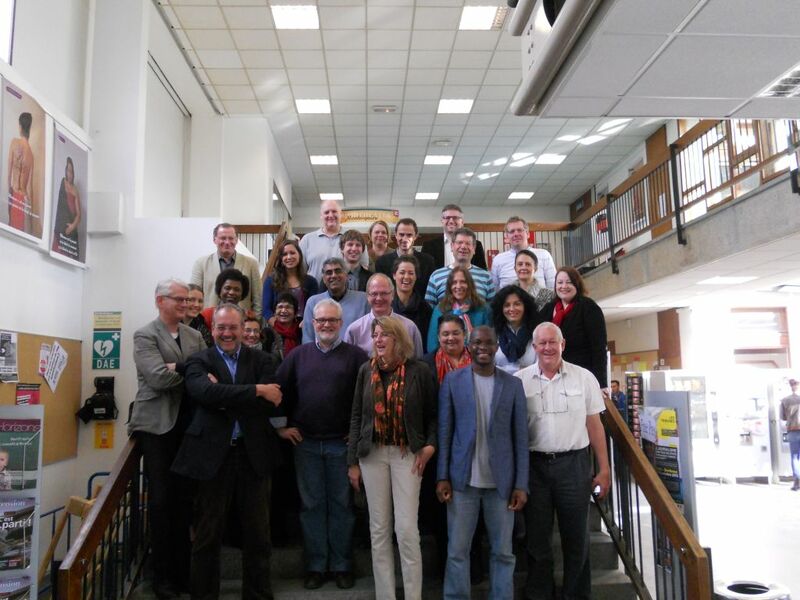 The pre-departure event for South African EUSA_ID grantees organized by the European Union Delegation to the Republic of South Africa takes place today and tomorrow (31 July to 1 August 2014) at the Cape Peninsula University of Technology (CPUT). EUSA_ID members taking part in the meeting are Lorna Holtman (UWC) and Nasima Bashda (CHEC). 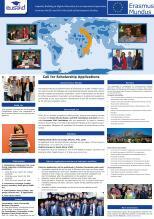 2 staff applicants were selected for a training/research period at european partner universities. All applicants were informed about selection results! The Kick-off meeting of EUSA_ID took place in Bordeaux at the University of Bordeaux 1 and Science Po Bordeaux on 10th-11th October, where all partners of the new formed consortium met. The meeting was perfectly organized by Anna Gerykova from the International Office of University of Bordeaux 1 - many thanks again! After the Welcome Addresses by Prof. Vincent Hoffmann-Martinot, Director of Science Po Bordeaux and Prof. Laurent Servant, Vice-President for International Relations, University of Bordeaux 1, Prof. Wilhelm Löwenstein, RUB (coordinator of the project) and Prof. Dr. Julian May, University of the Western Cape (co-coordinator), gave an introduction to the new project. Mrs. Elena Palavrova, Project Officer of the European Commission, Education, Audiovisual and Culture Executive Agency (EACEA) and Mrs. Julie Bagalciague, Europe-Education-Formation Agency in France, Agence 2e2f, gave useful insights into organizational structures of Erasmus Mundus Action 2 programmes in general, whereas Dr. Gabriele Bäcker (coordinator) assisted by Britta Niklas presented the different items of the agenda. During the second day, the selection committee was elected and partners met in order to identify areas for joint training and research with very promising results!